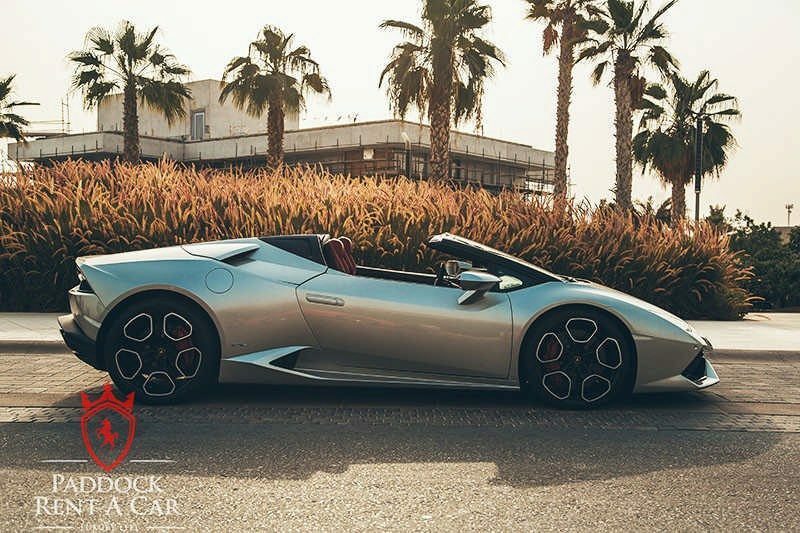 The Lamborghini Huracan Spyder LP 610 is an impressive convertible supercar with a power-hungry V10 engine generating a massive 602 bhp, achieving 0 to 100 km/h in only 3.4 seconds. 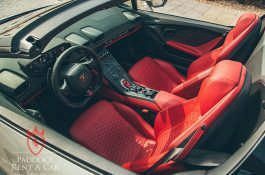 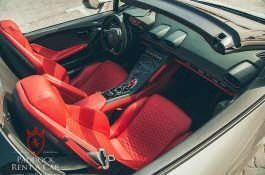 The Lamborghini Huracan Spyder LP 610 also has two seats, a futuristic interior, and a folding roof that can be operated in as little as 20 seconds. This makes the Spyder LP 610 a fantastic sports car for enjoying the open road. 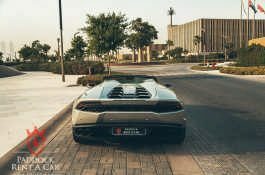 And as a car for sampling the delights of Dubai and the wider UAE, the Lamborghini Huracan Spyder LP 610 works well whether for business or pleasure. 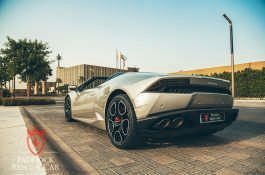 The car’s bold, streamlined looks will impress no matter what the occasion, be it a day out at the beach, visiting Dubai’s many recreational hotspots, or for transporting an important business client. 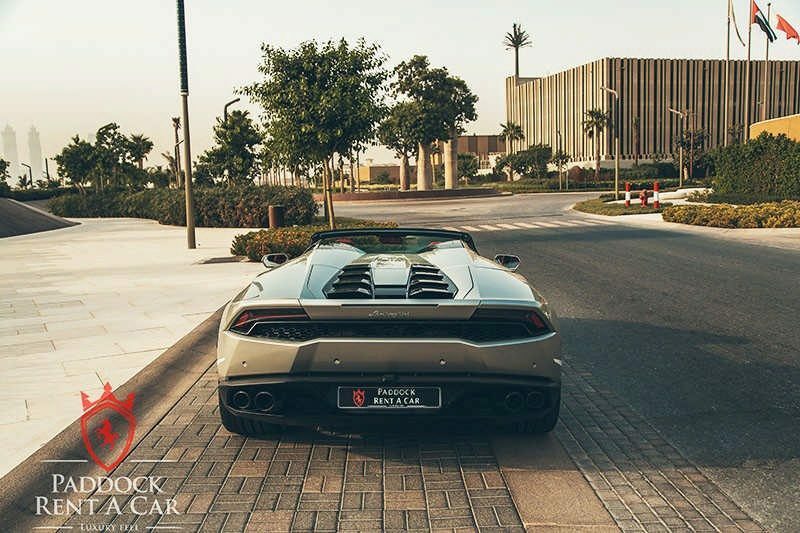 One thing is for sure: Huracan Spyder LP 610 delivers outstanding fun, instant acceleration, and the appearance of high-end success. 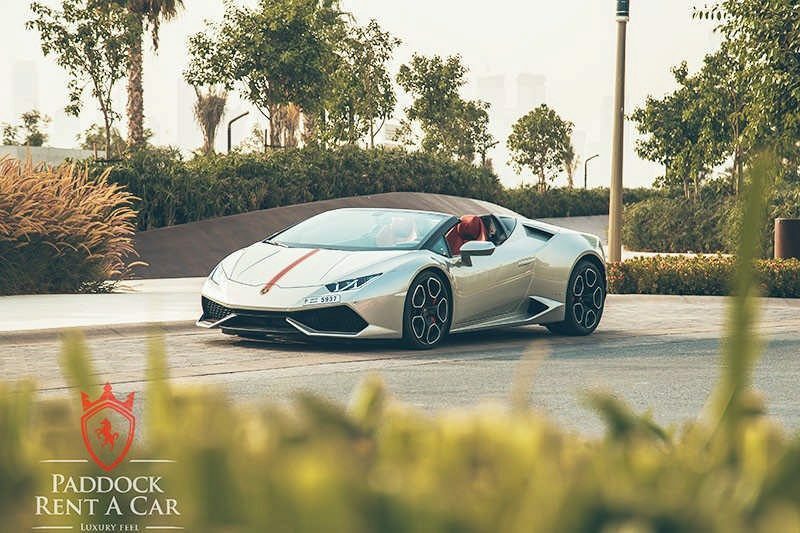 When considering Lamborghini Huracan Spyder LP 610 rental in Dubai, at Paddock Rent a Car we are renowned for our outstanding service and affordable prices. 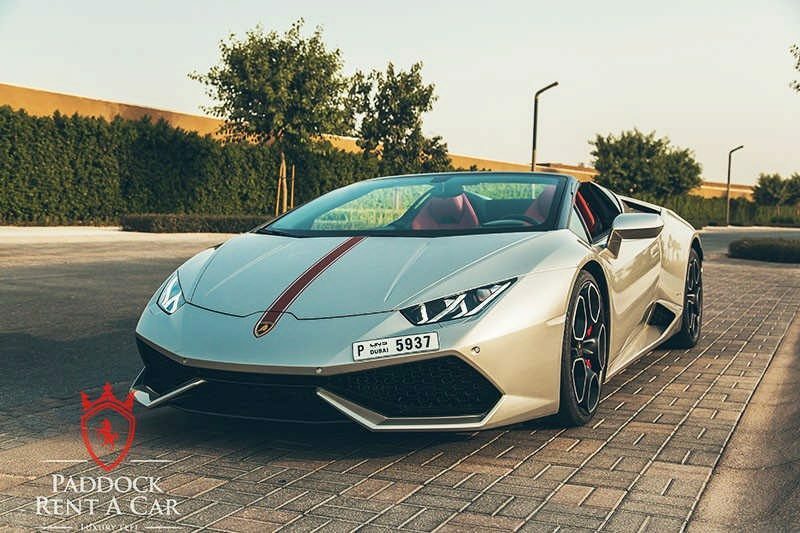 As one of the few car hire companies in the area that own our full collection of vehicles, we can guarantee low prices – always. 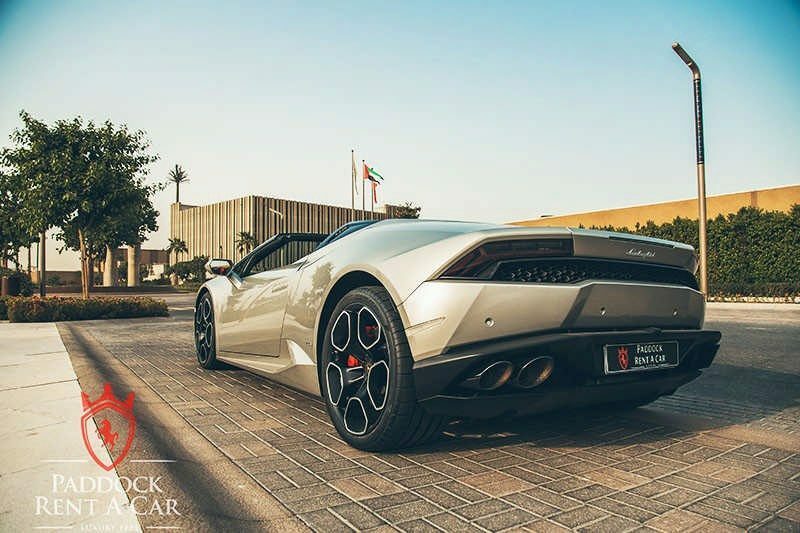 This, along with our legendary friendly service, is what keeps our customers returning on a regular basis. 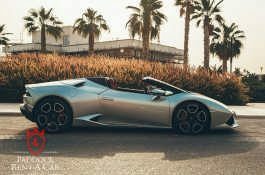 The process to gain a Lamborghini Huracan Spyder LP 610 for rent is easy. 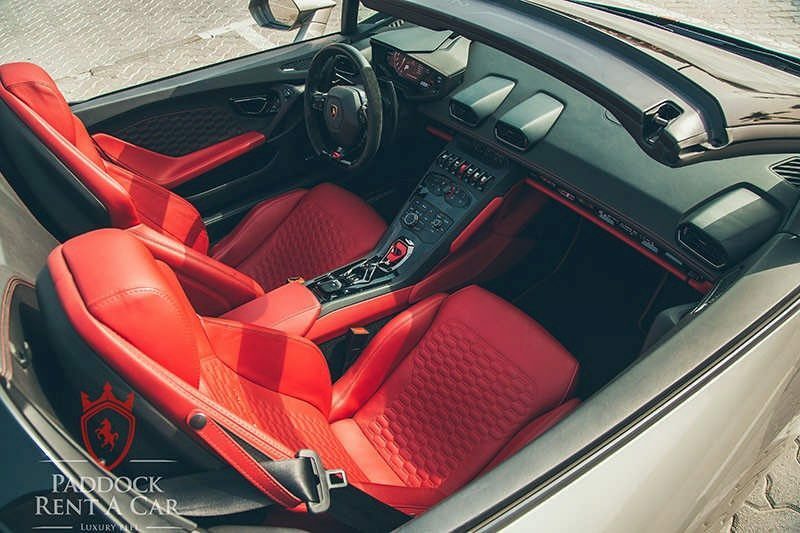 First browse through our selection of cars to find a suitable price, then contact us by using the online form or by telephone. 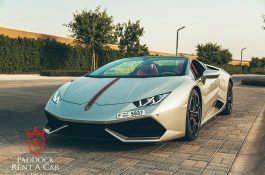 We will then respond soon after to provide further details and to complete the rental. 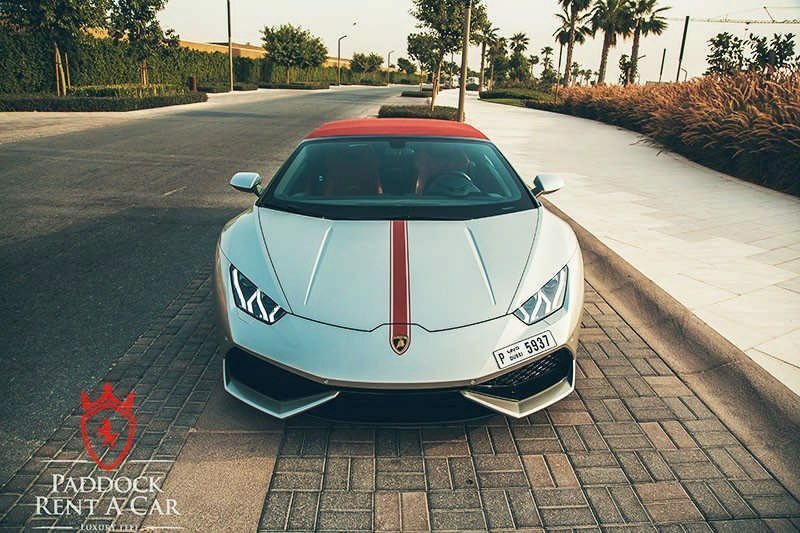 For delivery, we offer a door-to-door service, or alternatively, we can arrange collection at our showroom.